The utility industry has been on a transformative journey for years, shifting toward greater efficiency, higher customer satisfaction and an overall deeper relationship with the people they serve. This journey isn’t merely an energy evolution, but a whole home energy revolution – moved forward by energy-driven smart home and energy management technology that produces exciting experiences. It is this technology that will be the key to success on this transformative journey. That is why we at Powerley have created a whole new journey in energy engagement and management. Whether that is creating stepping stones to the energy-driven smart home or offering an easy and engaging way for customers to understand their energy usage, Powerley is making this journey possible by expanding its product portfolio. Three products are giving us access to a completely new journey in energy engagement – LITE, LIVE, and LINK. These three products open multiple paths to form your energy future. One with new levels of engagement, greater efficiency, and expanded demand savings – and let’s not forget new revenue opportunities. And it all begins with the ability to experience and explore our energy. Energy exploration and discovery – it is the essential foundation for understanding home energy usage. From here, we can engage with last month, last week or even yesterday’s energy usage through the easy-to-understand 24hr energy clock. This energy visualization gives us a window into our home and daily life. This is the core of Powerley LITE – an energy management tool that makes energy usage data easily accessible through energy visualization on our mobile phone. When engaging in the app-only experience of Powerley LITE, I get to finally interact with my historical energy usage information. It is an inside look into the amount of energy that has been consumed in my home and exactly when it happened, combined with integral details that allow me to make better energy choices. To help further guide my energy decisions, I use Powerley LITE’s personalized insight, including weather and weekly or monthly comparison data. Yet it’s the Powerley Advisor that gives me individualized coaching through weekly energy insights, always-on energy spike alerts and “Did You Know?” cards. LITE is also chock-full of utility tools that make it easier than ever for us to pay bills and learn about (or report) outages to gain greater peace of mind. Better still, by increasing our interactions with our energy, utilities are giving us a way to boost our energy efficiency by 2.29 percent (Navigant). With personalized features that foster engagement and strengthen the relationship between us and our utilities, we could just stop the journey there – or you can open the door to even more engagement and efficiency through live energy insight. From our current daily step count to instantaneous social updates, and almost real-time package tracking alerts, the world lives in the now. With LIVE, our energy does as well. By incorporating our Powerley Energy Bridge – the complete hub for home energy management – we can build on Powerley LITE to create Powerley LIVE. Powerley LIVE gives us chance to monitor and manage our energy in real-time (via AMI, AMR or CT clamps). It is an empowering experience that lets us make instant changes to save on energy, giving us detailed disaggregation and always-on information. One of my favorite parts of LIVE is that it is more than an app experience. LIVE comes with its own connected thermostat, in addition to working with other connected thermostats (Wi-Fi, Z-Wave, ZigBee and more), to give us the power to take control of the biggest energy waste in the home, HVAC. In the app, I can set up rules to automate my energy savings and control it from anywhere. Using individualized insights from Powerley Advisor, we have the tools to optimize our HVAC’s efficiency, balancing comfort and energy savings. From this, utilities can reduce peak-loads by having us opt into DR events. This offers an average demand savings of 1.6 kilowatts per event (source: Powerley, Data Science Team). Through Powerley LIVE, we are engaging with energy more frequently than ever before. It is no wonder that LIVE has an average additional energy savings of almost 6 percent, and bring total energy saving over 8 percent (Navigant). By empowering utilities to create the energy future they envision, we do the same for people like us. It is a journey, and Powerley is providing you with the choice of how far to take it. Whether you want to stop here with next-level energy efficiency or keep going to unite energy management with the smart home, the choice is yours alone. We have smarter cars, smarter phones, smarter homes, and smarter energy. Every day we link our phones to our cars for an improved and personalized driving experience. And finally, our energy is taking that step as well, bridging the gap to the smart home. 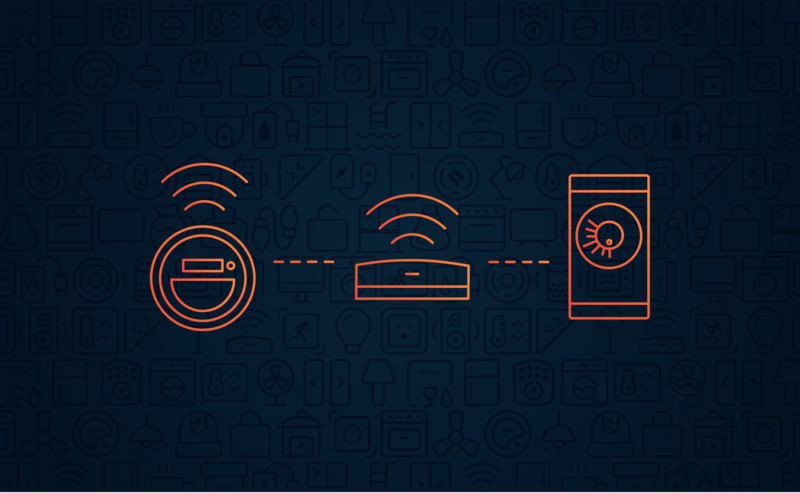 Combining energy management with the smart home, LINK is our energy-driven smart home. Powerley LINK expands on the features of LITE and LIVE by giving us direct control over our energy and smart home. It takes energy efficiency to the highest level yet by adding another dimension to the engagement experience – full smart home control and insight. And while in LIVE, utilities could take advantage of thermostat DR, LINK extends those demand saving opportunities even further. Now we gain the ability to run DR events through plugs, lights, switches and more, which AEP Ohio knows something about. “Through our work with Powerley, we have this immense opportunity to partner with our customers and help them build a smarter home that reduces energy use during peak times,” said Dave Tabata, Consumer Programs, Marketing, & Customer Experience Manager at AEP Ohio. And beyond that, LINK is opening the door to a new business model that supports the need for utilities to find new sources of revenue that fit within the regulated utility model. This is changing utilities’ position in the marketplace. Now utilities aren’t just energy providers, but smart home provider – delivering a unified experience with a degree of power, control and connectivity unlike ever before. It is through LINK, that utilities are finally giving us what we truly desire from the smart home experience – the power to control our electricity – the energy-driven smart home. Powerley LITE, LIVE, and LINK are reinforcing the bond between us and our utilities while providing an exceptional level of choice. Utilities can use all of these innovations to increase our loyalty while simultaneously generating fresh sources of revenue from new subscription models. Through this journey, utilities can better understand energy usage behavior, provided from anonymous data in the app, and keep improving our experience. It’s a win-win, and it opens the door to a smarter, energy-driven future that will wholeheartedly change our lives. With enticing benefits that extend beyond an improvement in efficiency, there is an opportunity to completely transform the way electricity is managed, monitored and consumed. With the incredible innovations of LITE, LIVE, and LINK, utilities now have the power to bring us into the next frontier and transform how we see and use energy – taking charge of their energy future.